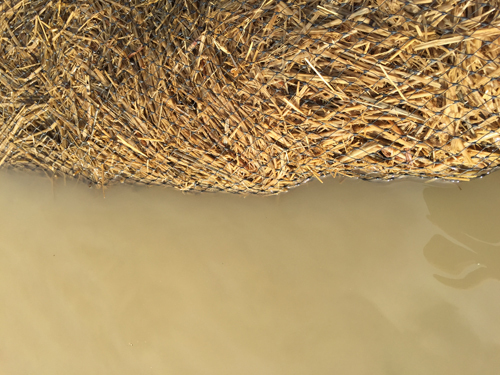 You have heard about the environmental and regulatory reasons that total suspended solids (TSS) should matter to an industrial site and also seen some potential sources of TSS in storm water. What is a facility to do about their TSS issues? Typically, it requires a two-pronged attack using both structural and non-structural best management practices (BMPs). Some of the cheapest, easiest and most effective BMPs are source control, good housekeeping and training. These are your first line of attack on the problem. One of the best BMPs that a facility can employ is site sweeping and debris pickup. We harp on this a lot, because source control and good housekeeping can make a big impact on your storm water sampling results. At least 75% of benchmark exceedance evaluations (e.g. Exceedance Response Action Level 1 and 2 in California or Level 1 or 2 in Washington), we do result in a recommendation for increased site sweeping. Especially for TSS issues in industrial storm water, good housekeeping via site sweeping works extremely well. Manual sweeping with a push broom and dust pan. Use a shop vacuum or drum vacuum plus broom. 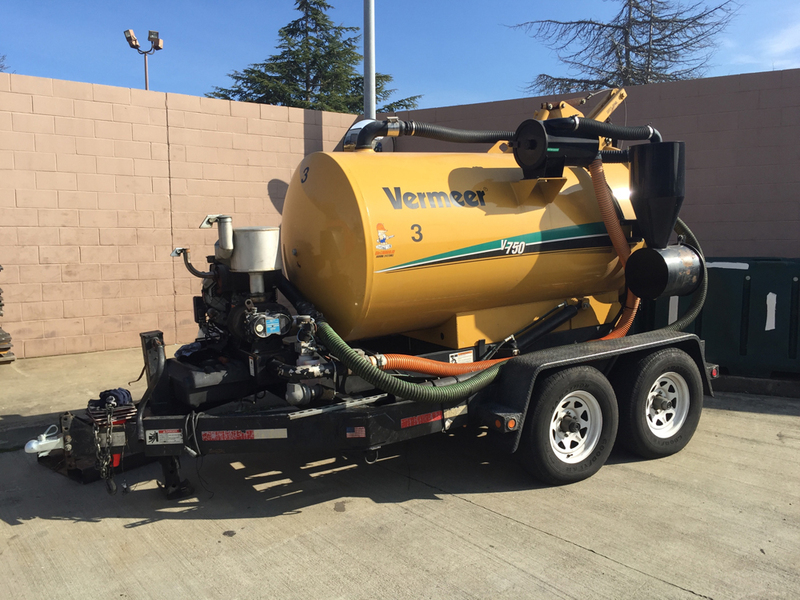 Buy, lease or hire a street sweeper (regenerative air vacuum sweeper or vacuum only or maybe a floor scrubber). How do you know the best way to succeed? Tough to tell, because every site (size, budget constraints, amount of sediment, etc.) is different. However, I am a big fan of regenerative air street sweepers because of their ability to get in all the cracks and crevices on industrial sites. Floor scrubbers work well on sites that have metal issues (very small particulates) on concrete with minimal cracks for a deep clean. However, they are not a general-purpose solution. Street sweepers on the other hand can help out on most sites. Other common non-structural BMPs for TSS issues involve catch basin and storm line cleaning, which can reduce or eliminate historical sediment buildup, and vacuuming around catch basins. However, if those are not successful, structural BMPs such as storm drain inserts (e.g. “witches’ hats”), stockpile covers, hydrodynamic separators and sand filters may be necessary. Source control, such as stockpile covers or mulch, is another common approach that targets the particulates before they even become suspended or TSS. If there is room on a site, vegetated swales can be used to both slow the flow, allowing sediment to settle out, and vegetation acts a filter to physically filter out the suspended particulates. 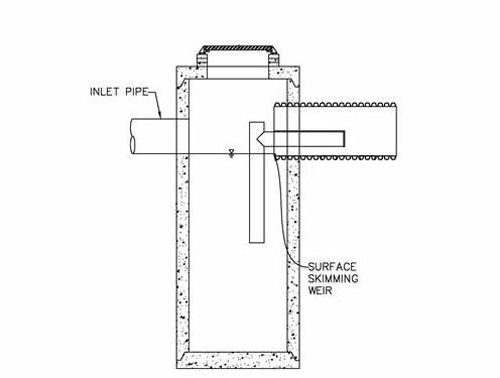 These structural BMPs range widely from less than $100, such as a storm drain insert, to a multi-million-dollar sand filter for sites with flow rates in the thousands of gallons per minute. They all have the same general approach, which is to slow the flow, allowing suspended solids to settle out (e.g. swales, hydrodynamic separators, and retention basins), and/or physically filter out solids (e.g. storm drain inserts or sand filters). Regardless of the type of BMP, structural or non-structural, are not just a one-time BMP change to address your TSS issues on your industrial site. Rather the BMPs (I hope you leverage both types) you implement should be a part of a constant process from inspections to maintenance to monitoring. These are the keys to active storm water compliance and one of the areas where we see huge improvements to storm water programs using technology to actively monitor and ensure that the TSS concerns, which are a permit requirement and an environmental issue, are adequately being addressed. Remember, TSS issues, like any industrial storm water issue, require a solid understanding of their cause(s) and an iterative approach to solving.